Theia Smith | HOPE Global Forums | Presented by Operation HOPE, Inc.
As the founding Executive Director of the City of Atlanta’s Women’s Entrepreneurship Initiative (WEI), Theia champions for equal access to economic self-sufficiency for women and girls, particularly those whose talent is often overlooked and under sourced. Theia leads the only city-endowed initiative of its kind in the nation, aimed at investing city funding in women-led ventures. In its inaugural year of operation under Theia’s leadership, nine of the 15 WEI entrepreneurs became job creators; two scaled beyond $1 million in revenue and six collaborated together to create entirely new ventures or hire one another. Theia oversees the totality of services WEI offers including its incubator competition – a community- wide campaign to provide job-creating, early stage women entrepreneurs with designated office space in a technologically-advanced incubator, to invigorate them with the coaching, connections and capital critical to accelerating their business growth at no cost to them. With a professional portfolio spanning senior-level diversity and inclusion business development efforts in the Fortune 50 landscape, Theia galvanizes support from the public, private and education communities, to amplify WEI’s key objective of intersecting untapped opportunities in innovation and entrepreneurship with emerging women start- up founders in Atlanta and beyond. Theia is a member of the 2018 class of Leadership Atlanta. 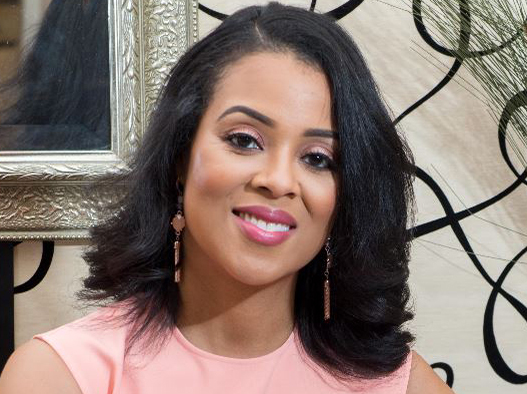 Her media recognition includes being named one of Atlanta’s 2018 ‘40 Under 40’ by The Atlanta Business Chronicle, one of Inc. Magazine’s ‘17 inspiring Women to Watch in 2017’, featured as a “2017 Superwoman” by Atlanta Tribune Magazine and one of ‘13 Successful Spelman Alumnae to Watch’ by Walker’s Legacy. She is a recipient of the 2017 ‘Supporter of the Year’ award by the Atlanta Women’s Chamber of Commerce and the 2016 Diversity Leadership Award by the Atlanta Chapter of the National Women in Transportation Committee, the 2016 Investing in Impact Award from the Center for Civic Innovation and was a 2016 nominee for the Leadership Character Award for the Robert K. Greenleaf Center for Servant Leadership. Theia serves on the leadership committee of Startup Runway, a funding initiative for the top 10% of high performing minority and women led startups in the Southeast. Her board appointments also include the Executive Leadership Team of the Women Go Red Atlanta Campaign and Access to Capital for Entrepreneurs’ Women Investing in Successful Entrepreneurship (WISE). Theia is certified in business incubation management by the International Business Innovation Association (InBIA) – the world’s leading organization advancing business incubation and entrepreneurship. Originally from Washington, D.C., she is an alumna of Spelman College.